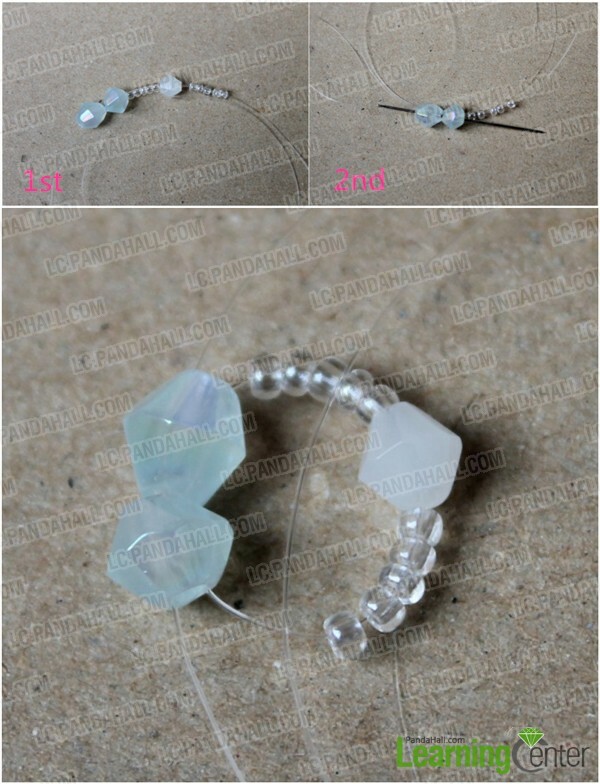 Summary: Glass bicone beads can add amazing glow to your design. This tutorial will show you how to make a beaded bracelet with crystal bicone bead and small seed beads. So follow me and give it a go yourself! For this bicone bracelet design, I made a quite unique combination of 4mm & 6mm bicon beads along with small seed beads. You can see the final look of this bicone bracelet is just so stunning and dignified! 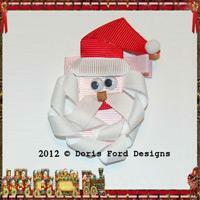 Read on to learn the making details with me. How to make this crystal bicone bracelet? 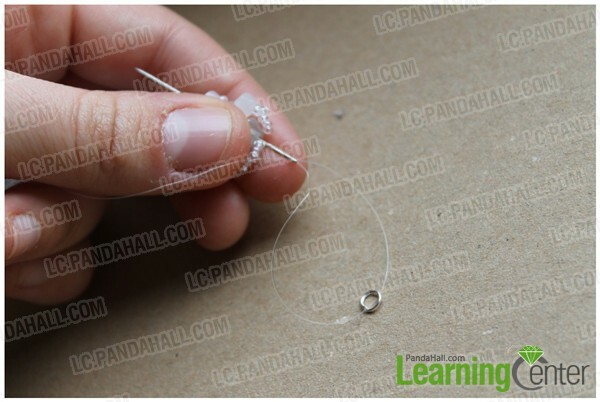 2nd, Go with your needle through the 2 big 6mm bicone beads in the opposite direction. 5th, Now put 5 small seed beads , 1 small 4mm bicone beads and 5 small seed beads and go through the last 2 big 6mm bicone beads. Step 3: Now repeat step 1 and step 2 until your bracelet fits your wirst properly. Step 4: Put a jump ring on the thread and go again through the big 6mm bicone beads but in the opposite direction. Step 5: I went through all the big 6mm bicones beads again to reinforce the bracelet ( this steps is optional. ). Step 6: Add to the other side a jump ring too and a clasp and here’s the final look. And voila ! Your stunning and outstanding bicone bracelet is ready to shine! It may looks a little complicated, but once you master the way of threading, it’s quite smiple to finish. 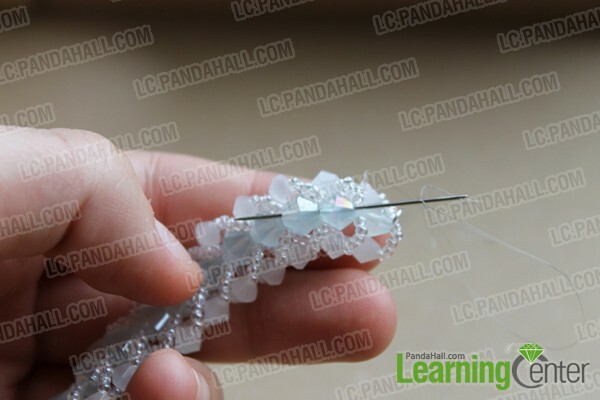 After learning this tutorial, do not forget to share with your friends around how to make this beaded bicone bracelet. 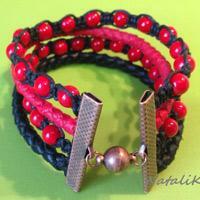 Lovely bracelet. Can someone tell me the name of the colors used in this design? 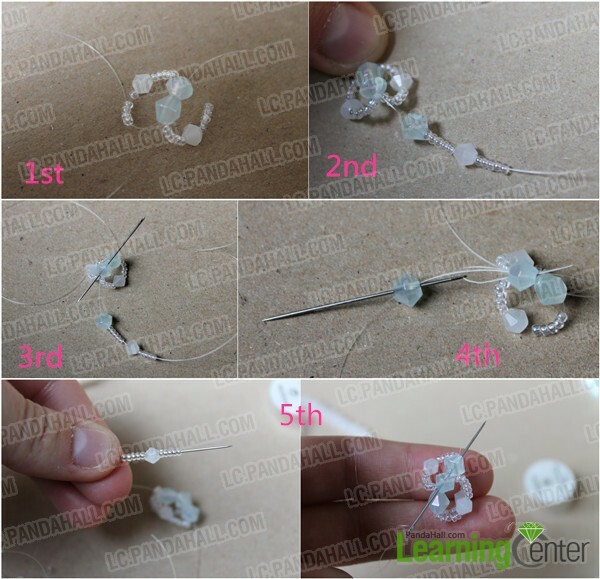 There are three kinds of beads in this design, they are 4mm white glass bicone beads,6mm cyan glass bicone beads,and transparent seed beeds. Wauw ! They look stunning ! Nice colouring too ! How many of each size bicone beads?